A common complaint of beauty salon patrons is the inability to maintain their hairstyles. After hearing customers complain for over a decade about the same issue, cosmetologist Tamikia Samuels-McKiver and business expert Judith Marie Jamison decided to take action! Joining forces, these innovative Greensboro, North Carolina natives invented Silky Curls – a patent pending product, designed to create long-lasting, spiral curls and deep waves without damage. “As a dedicated cosmetology instructor and hair solon owner, I pride myself in the practice of grooming healthy hair. Through my experience I’ve learned the use of excessive heat is by far the #1 root cause of hair breakage amongst African American women. In order to maintain stylish hair between salon visits, many women believe curling irons and flat irons are a must. That’s no longer true! 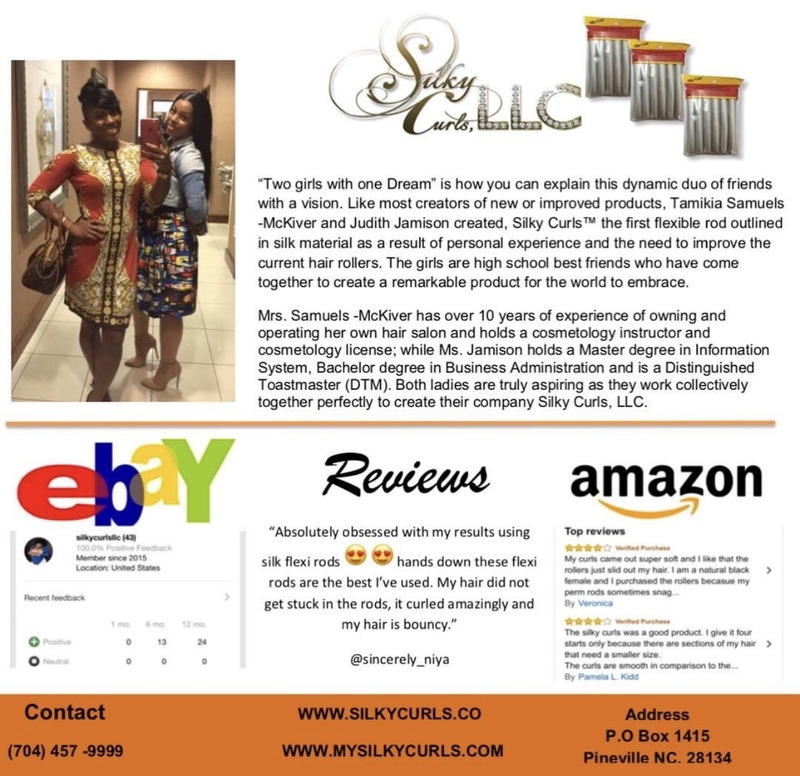 My partner and I invented Silky Curls to help women sustain salon prefect curls, without heat or damage,” states Tamikia Samuels-McKiver, a licensed cosmetologist and the owner of “Center of Attention Hair Salon” in Greensboro, North Carolina. Silky Curls’ unique patent consists of a flexible rod outlines in delicate silk fibers, specially designed to alleviate prints, creases and snagging, commonly encountered by traditional roller usage. In addition, the custom made rods are easy to use and comfortable to sleep in. Eliminating the need for excessive heat, the Silky Curls brand has been praised by consumers across the world for producing long-lasting, luxurious curls that promote healthy hair growth. With a proven track record for reducing hair breakage, the Silky Curls brand has become a leader in the African American hair & beauty industry. This invention is a bonafide solution for maintaining salon perfect curls with easy usage! 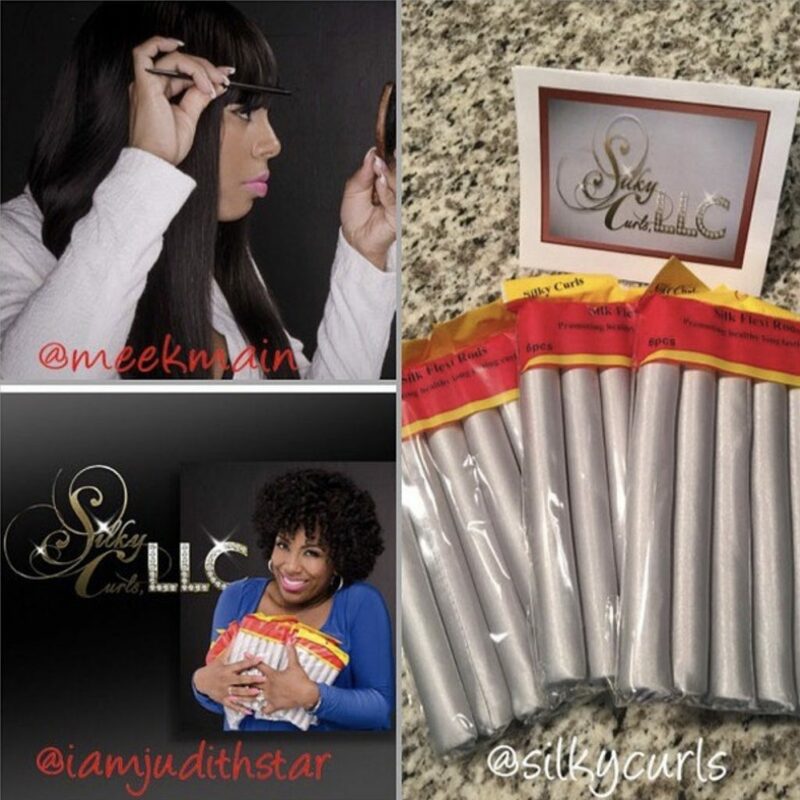 For more information about Silky Curls or to see a demonstration, please visit www.mysilkycurls.com. Or, to purchase Silky Curls products visit www.amazon.com today!